Chris Bartocci looks at the Taiwanese piston AR upper. Wolf is importing these right now. Background checks for 2017 Black Friday set a new record with 203,086 checks. This is a significant increase from last year's 185,713 checks. Meprolight describes these as "a lightweight, all-in-one weapon sight that includes a thermal imaging channel and day/night sensitive camera, integrated DVR and IR pointer"
Harold Johnson of the Foreign Science and Technology Center was demonstrating various weapons at Ft. Bragg in this video. Chris Bartocci goes over this rifle that was chambered for 6.8 SPC. The cartridge was developed for a purpose but it didn't do well. Colt made a small clip of Single Army pistol getting polished. Chris Bartocci looks at this AR that has some interesting features before others did. Raven Concealment Systems announced a new holster called Perun. It's OWB holster built with features from Eidolon holster line. Perun uses significantly less materials. This new holster will replace the famous Phantom holster series as well. One unique feature is the retention adjusting slide. Material is a polymer using injection molding. Available on Black Friday, and shipped near Christmas. The holster works for following guns for now. Glock 17, 19 and combination of SureFire or Stream lights. Future version will include Sig Sauer P320, HK VP9, 1911s and more. Ian and Karl goes over Finnish Mosin-Nagants. These Nagants are generally considered to be a bit more well made. US Marine Corp is getting Glock 19Ms for personnels who need a weapon that can be concealed. This is by no means USMC-wide change in pistol form M9, but for those who need concealment, they have an option. MrGunsnGear reviews this new pistol. Vickers Guide announced a new book on WW2 German firearms. Travis Haley recently moved his company to a better location and also added a new program utilizing Virtra 300. This is a system that allows 300 degrees of screen using 5 large screens. The scenarios can be adjusted by the operator, allowing many different progressions and results. USSOCOM is looking for a scope that has variable power. It is seeking both First Focal Plane scope as well as the Second Focal Plane scope. Interestingly, First Focal Plane Scope will be set aside for small business, while Second Focal Plane Scope is open to everyone. Currently, USSOCOM is using Vortex Razor HD Gen II for this role. MrGunsnGear looks at this budget friendly optic from Bushnells. Karl from InRangeTV shows how to efficiently engage the spinner target. Back then, .40 S&W was all the rage after FBI's Miami shootout as it offered better penetrations than 9mm while having more capacity than .45 ACP. After two decades, things are now turning around and 9mm is back in the game. 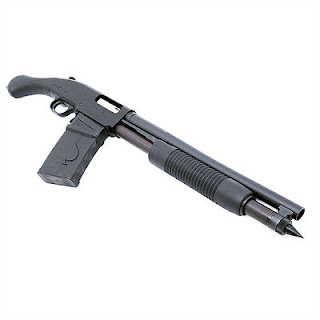 Black Aces Tactical released this magazine fed pump shotgun. SureFire and Haley Strategic Partner teamed up to come up with a light. It gives out 500 lumens using a single cell. It's named Disruptive Environments Firefly Technique (D3FT), and will be available in Jan. 2018. 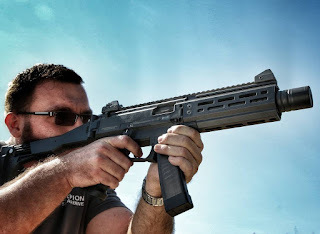 IWI is coming up with a new striker fired polymer pistol. This would be a new design in the line up using polymer frame. In the past IWI had polymer frame version of Jerico/Baby Eagle, but it seems like there was a need for new pistol. Black, Flat Dark Earth, OD Green, and Sniper Gray colors will be offered. IWI announced they are releasing 7.62x51mm version of Tavor. This is another entry in to bullpup rifles in 7.62 area. Barrels will come in two lengths, 17" and 20"
This Czech machinepistol had some interesting concepts behind it. The Firearm Blog posted some photos form PK Design Lab. PK Design Lab is the company founded by Paul Kim, who was the VP of engineering at SureFire. Kim has left the company some years ago and works on various projects. He was involved in Lionheart pistol, an updated version of Daewoo DP-51 pistol. It seems like he is now involved with the Korean Glock Copy. As of current, a lot of patents for Glock has expired and there are some remaining patents, but most of the gun can be built without problem now. Looking closely at the photos, the first thing that stands up is the modularity of the pistol. The main part/chasis is the part that deals with all the internals. Just like SIG P320, that's the part that will be important for function. The photo shows that, and it is also reminiscent of STI 2011 set up. This would allow modularity for armorers to fit the gun for whatever the different needs are. Main recoil spring is that of a double spring variety. 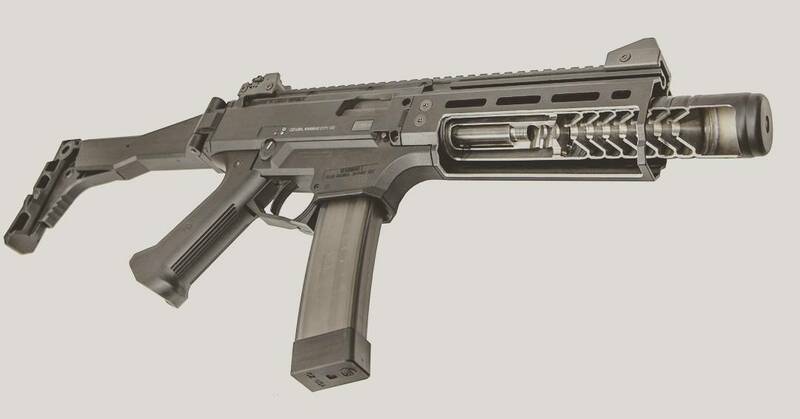 It is not sure why such design would be preferred, as H&K abandoned the design after USP. But to each to his own. 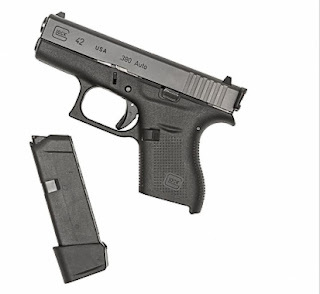 The slide is something that some Glock aficionados would be familiar with. It is the Lonewolf Slide. The slide is actually manufactured by Dasan USA, whose parent company is a South Korean company. This company has been making them for a long time, and perhaps is the easiest after market slide to get. 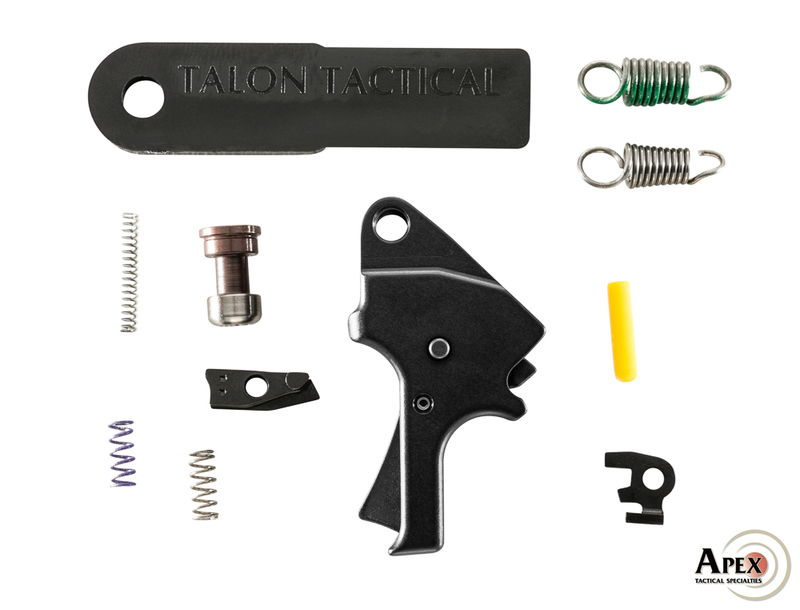 Dasan has been making some other parts as well, including Thales F90 parts, the new service rifle for Australian Defence Forces. The TFB article asks if someone will import this. The question is is it made in South Korea. South Korea has very strict gun laws and personal ownership of pistol is very difficult to the point that it is impossible. Perhaps someone wants to enter the US pistol market with this. Another possibility is that it maybe something they are trying to sell to South Korean military. This appeared at ADEX exhibition in Seoul Air Show. Daewoo pistol is now showing its age and perhaps there might be some rumblings about a new pistol. Chris Bartocci shares the history of Magpul Masada. This rifle garnered much interest and was anticipated. But Magpul licensed production to Bushmaster, and it ended up being the ACR.